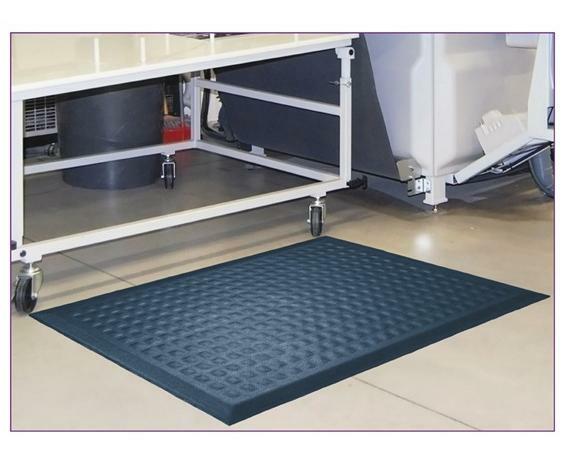 Complete Comfort™ II | Morrison Industrial Equipment Co.
Beveled edges for safe floor to mat transition. Welding safe and static dissipative. High density closed cell Nitrile Rubber Cushion has 15% recycled content. Grease and oil proof, chemical resistant. Lifetime anti-microbial treatment to prevent odors and degradation. May be Autoclave sterilized. Certified slip resistant by the National Floor Safety Institute. 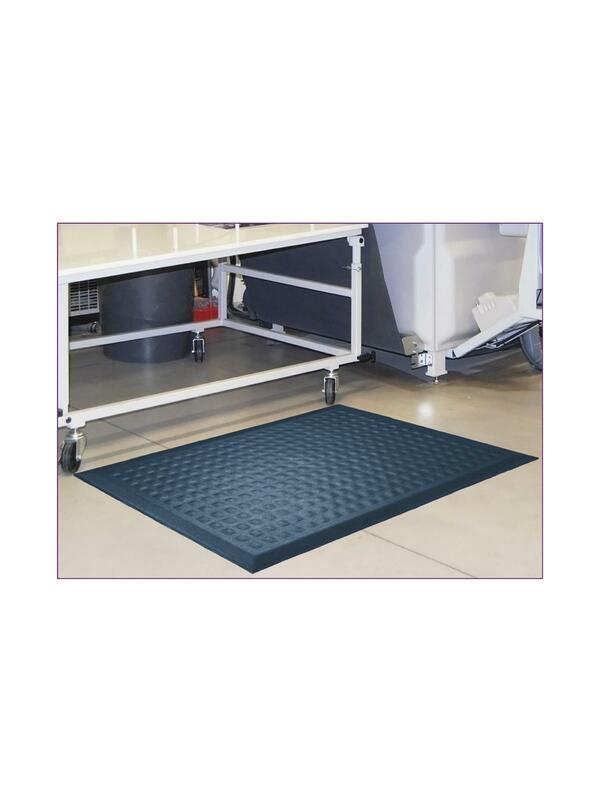 Recommended for use in wet or dry environments for healthcare, food service, and industrial applications. Available in Black. FOB Shipping Point.